Versilon® 2475 High-Purity Tubing is ideal for handling sensitive fluids such as pharmaceutical or biological solutions. There is virtually no absorption of key fluid constituents into the tubing material or fluid adsorption onto the tubing walls. As a result, fluid alteration and loss is limited. 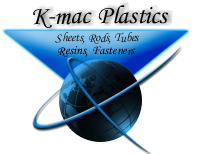 There is no plasticizer to leach into or contaminate the fluid, yet the tubing remains flexible. Versilon® 2475 High-Purity Tubing can be sterilized by radiation, ethylene oxide, steam or chemical methods. Frequently, incineration is used to dispose of contaminated materials. While many tubings release hazardous by-products when burned, Versilon® 2475 High-Purity Tubing only releases carbon dioxide and water when properly incinerated, providing safe disposal. Also available with reinforcement to withstand elevated working pressure.